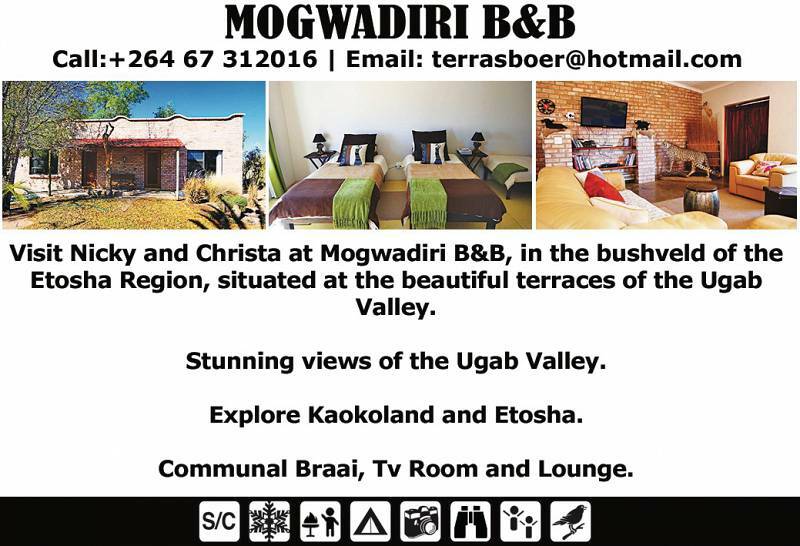 Visit Nicky and Christa at Mogwadiri B&B, in the bushveld of the Etosha Region, situated at the beautiful terraces of the Ugab Valley. Stunning views of the Ugab Valley. Communal Braai, Tv Room, Lounge and Bar Facilities available.